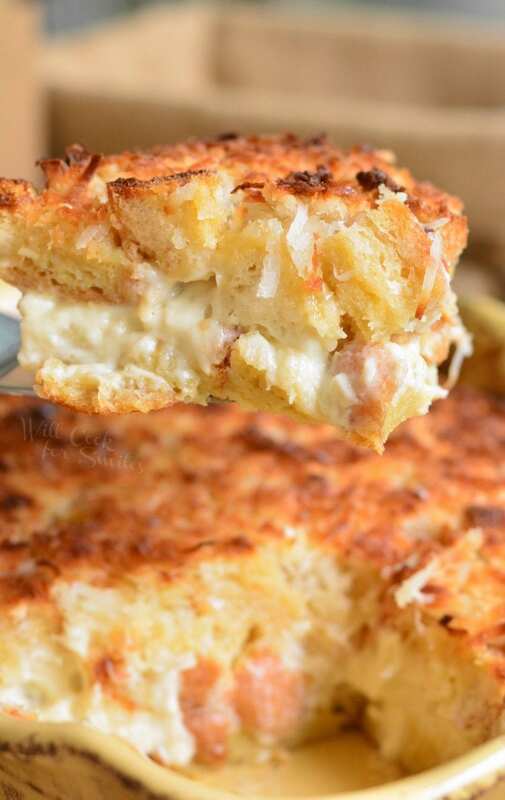 Coconut heaven in one sweet, comforting bite! 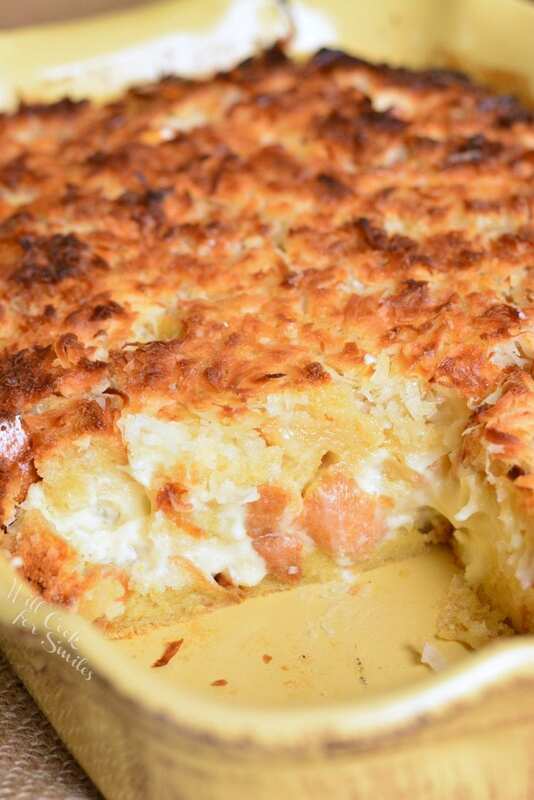 This bread pudding is a delightful, warm dessert that is loaded with coconut flavors throughout. 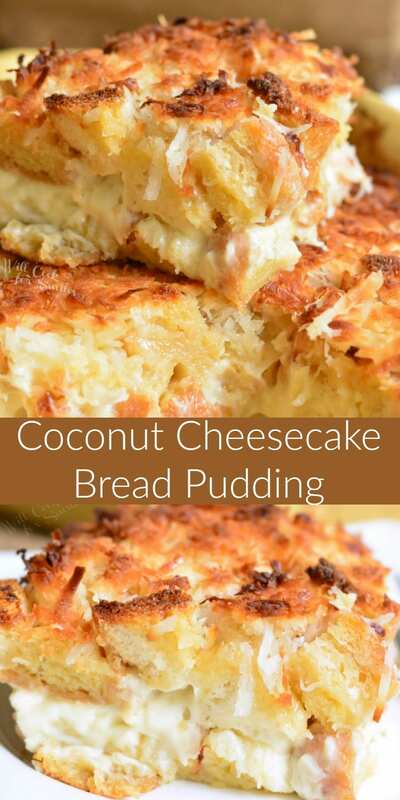 It’s made with a creamy coconut cheesecake layer in the middle and extra coconut of top. When I think “Mother’s Day recipes,” the first thing that always comes to my mind is coconut recipes. Most people will have a completely different association but I associate Mother’s Day with coconut because of my mom. My mom loves coconut and anything with coconut in it. So for Mother’s Day and her birthday, I make her something coconutty. My mom’s birthday falls on the same week as Mother’s Day and every few years, her birthday actually falls on Mother’s Day. That kind of double holiday deserves an extra special dessert. I always try to make her a cake that will knock her socks off and make sure to include coconut in it. Some of the best cakes she liked include Coconut White Chocolate Cake and Pina Colada Cheesecake. When my sister was little, we made her a Coconut Cheesecake together and I think that may have been her favorite one. Not because it was the best coconut cheesecake every, but because we made it together. After all, that’s what matters to moms most. Not how well her Mother’s Day present is or not how delicious her breakfast is bed was, but the thought and effort that went into it. Since I’m an adult now (no matter how unwillingly), I feel like the bar for my efforts is a lot higher. So I have a new recipe for her birthday/Mother’s Day this year that is guaranteed to blow her away. I am planning a TRIPLE coconut cheesecake. When I first started thinking of new Mother’s Day recipes to share this year, I decided to focus on brunch. Over the last few years, I’ve shared many breakfast in bed ideas that any mom would love to wake up to including Bananas Foster Pancakes and Strawberry Crescent Rolls. This year, I made an awesome coconut bread pudding and some brunch cocktails that I will share later. 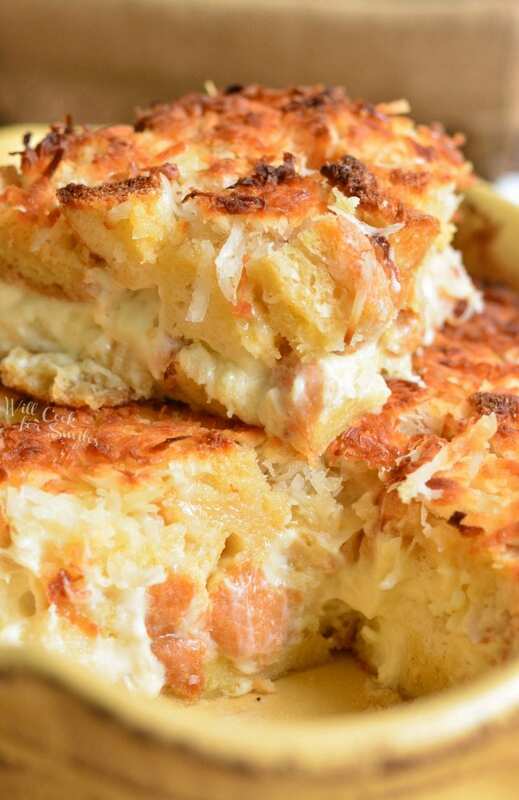 This coconut bread pudding is every coconut lover’s dream. It even has a special a creamy, coconut cheesecake filling. 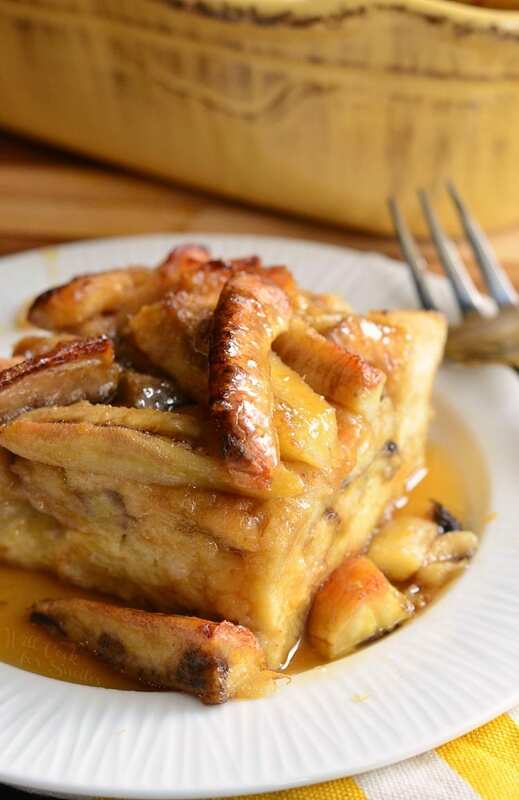 Don’t be surprised at me saying that bread pudding can be a brunch recipe, it totally can! It can be dessert, breakfast, brunch, or whatever you want. If you think about, it’s not any different from a french toast casserole because it combines stale bread pieces with an egg and cream. Besides eggs, cream, and bread base, the flavoring ingredients can vary to make the bread pudding sweet or savory. 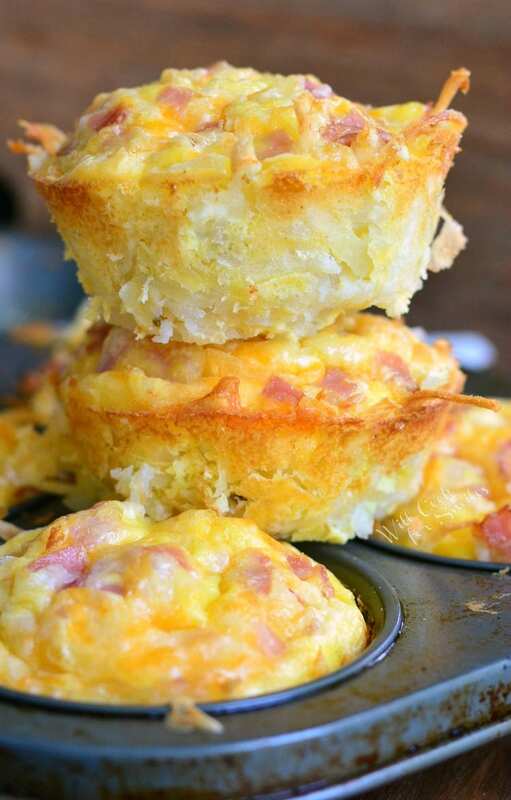 So yes, don’t worry if you feel like eating a slice of bread pudding for breakfast. After all…it has a lot of eggs in it! I always start preparing my bread pudding at least 24 hours before I need to cook it. Bread needs to get stale first so prepare it ahead of time. Start by cutting the baguette into small cubes. Then, spread bread cubes evenly in a large rimmed baking sheet. Try not to crowd the bread much so it will harden evenly. You also have an option of preparing the bread pudding and leaving it overnight to soak. It’s an option because you can bake it right away, after putting it together, or covering it and leaving it in the fridge overnight. Whichever option you choose, it will be amazing. If you are serving bread pudding as a dessert, I suggest adding a scoop of vanilla ice cream on top of warm bread pudding. Amazing bread pudding filled with coconut flavors throughout. This bread pudding also has a creamy coconut cheesecake filling. Note*: prepare bread 24 hours in advance. Start by preparing bread at least 24 hours ahead. Bread needs to get stale first. Cutting the baguette into small cubes. Spread bread cubes evenly in a large rimmed baking sheet. Try not to crowd the bread much so it will harden evenly. Preheat oven to 375 and grease a 9x13 casserole dish. In a mixing bowl, combine eggs, melted butter, cream of coconut, milk, and sugar. Whisk well and set aside. In another mixing bowl, combine cream cheese, sugar, and cream of coconut. Beat with a mixer for a couple of minutes, until soft and smooth. Place cheesecake mixture into a piping bag (or a zip-lock bag). It will be easier to spread the cheesecake over bread using a bag. Spread half of the bread in the casserole dish. Squeeze cheesecake mixture all over the bread, try to cover everything evenly. Spread remaining bread over the top of the cheesecake mixture. Slowly pour the egg mixture all over the bread. Press down on bread all over, to ensure that the eggs is spread evenly all over the dish and bread is soaked. 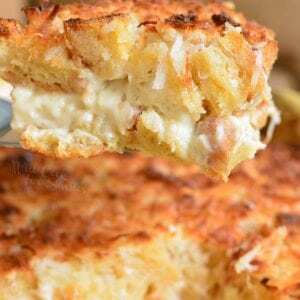 Spread the coconut flakes over the top and bake for 45-50 minutes. 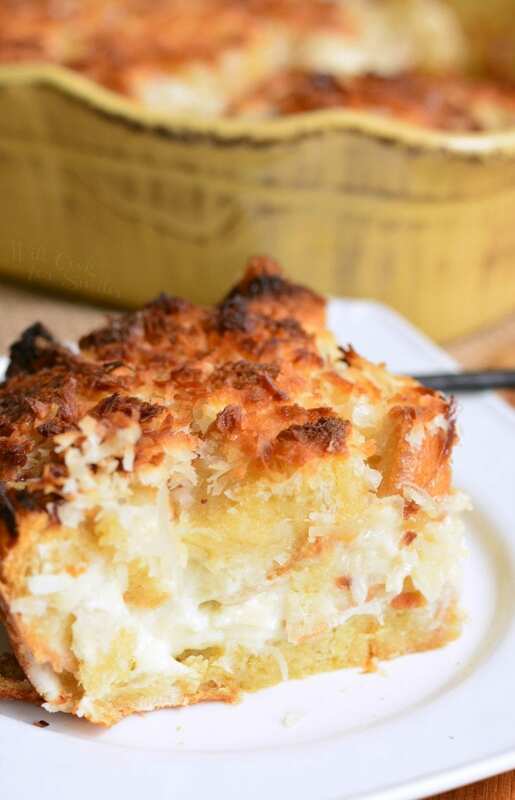 Note: If you notice that coconut flakes are getting too dark on the top, cover the top of the bread pudding with a sheet of foil, press it gently, and continue baking. What amounts of everything else do you use?? It lists the baguette but no amounts of anything else..
Like Tonya I cannot see the recipe. 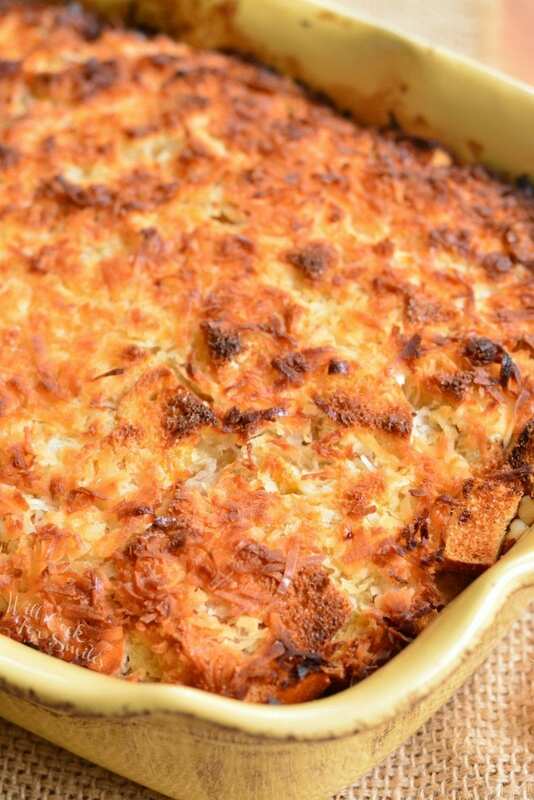 Could you send me a cut and paste copy of the Coconut Bread Pudding recipe to my email address? Oh my goodness, that is so strange!! I will send you the recipe to the email that you have listed here. Sorry about that! 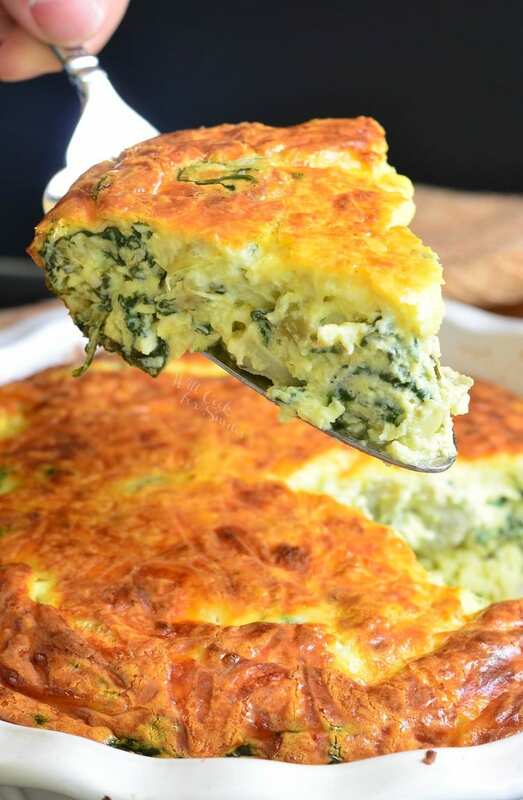 this looks great – I could see the recipe easily – must have been a fluke. How many cups of cubed bread do you suppose you get from one loaf?